Want to live a longer, healthier life? Emerging research is showing you may be able to by changing your nutritional approach. A low-carbohydrate, ketogenic diet has been shown to extend health span (how healthy you are) as well as lifespan (how long you live) in adult mice in a recent study1. In addition, motor function, memory, and muscle mass were found to be preserved in aged ketogenic mice as well2. Recent studies have shown that high glycemic index foods (foods that trigger rapid spikes in blood sugar) may contribute to acne3. Since the keto diet includes minimal carbs & sugar, it avoids these acne-causing food types. Research on the exact mechanisms behind keto reducing acne is ongoing, but a study of athletes following the keto diet reported improvements in skin condition as well as overall well being4. 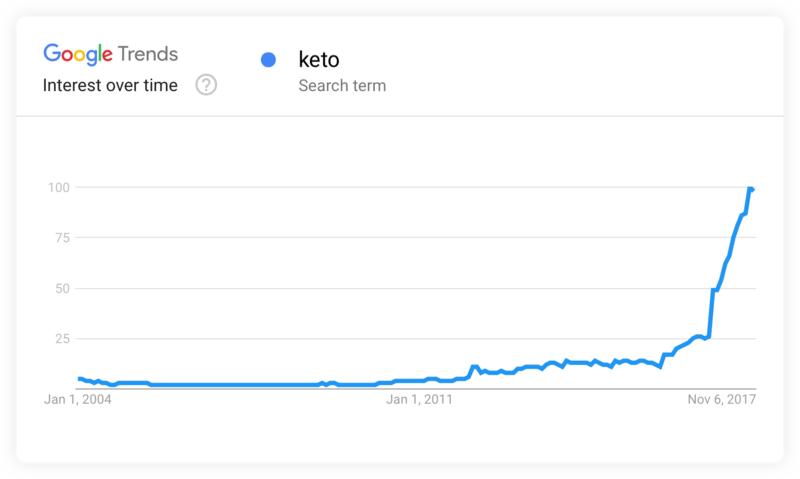 The term "keto" is booming on Google! So what should you eat on keto? Bacon, eggs, and avocado show up on your typical keto diet menu. Can’t eat meat? Keto is still possible. However, with a vegetarian keto diet one must be wary of carbohydrate intake from vegetables. Just because you’re vegetarian doesn’t meant you can eat unlimited vegetables. 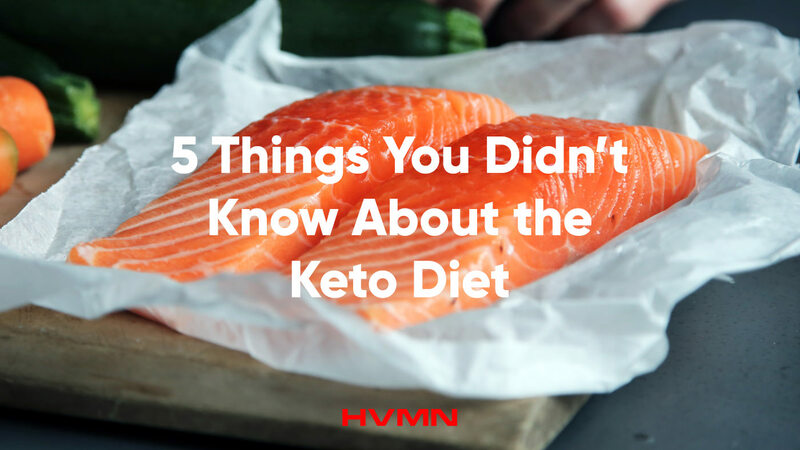 Being vegetarian on keto requires a bit of extra creativity, so be on the lookout for keto diet recipes that include healthy fat sources like oils, olives, avocados, cocoa butter, coconut cream, dairy, and eggs. In the past, there have been doubts about the safety and increased effectiveness of high-fat diets. Not so! Scientific evidence has shown that a ketogenic diet may reduce cardiovascular risk factors. More specifically, the diet may improve blood lipid profiles and reduce triglycerides in the blood.3 The ketogenic diet has been reported to increase the size of low-density lipoprotein (LDL) cholesterol. Research shows that small dense LDL cholesterol is inflammatory and toxic to blood vessels. They are more likely to lodge themselves into arterial walls causing a host of issues and keto may mitigate these issues. It seems clear that a keto diet can have a positive impact on health and well-being. That said, it might not be realistic for everyone to follow a ketogenic diet to the “T”, so you may consider “cyclical” keto diet as an alternative. In a cyclical plan, you might eat keto 5 days a week and eat a mixed diet 1-2 days a week. Many people find this more sustainable long-term. Keep these things in mind when choosing the best nutritional approach for you. 1. Megan N. Roberts, Marita A. Wallace, Alexey A. Tomilov, Zeyu Zhou, George R. Marcotte, Dianna Tran, Gabriella Perez, Elena Gutierrez-Casado, Shinichiro Koike, Trina A. Knotts, Denise M. Imai, Stephen M. Griffey, Kyoungmi Kim, Kevork Hagopian, Fawaz G. Haj, Keith Baar, Gino A. Cortopassi, Jon J. Ramsey, Jose Alberto Lopez-Dominguez. 2. Jon Ramsey. Trina Wood. 3. Paoli A, Rubini A, Volek JS, Grimaldi KA. Beyond weight loss: a review of the therapeutic uses of very-low-carbohydrate (ketogenic) diets. European Journal of Clinical Nutrition. 2013;67(8):789-796. doi:10.1038/ejcn.2013.116. 4. Caryn Zinn, Matthew Wood, Mikki Williden, Simon Chatterton, and Ed Maunder. 5. Sumithran, P., Prendergast, L. A., Delbridge, E., Purcell, K., Shulkes, A., Kriketos, A., & Proietto, J. (2013). Ketosis and appetite-mediating nutrients and hormones after weight loss. Eur J Clin Nutr, 67(7), 759-764.